Bus from Teluk Intan to Singapore is one of the highly sought-after bus services in Teluk Intan Bus Terminal. During the festive season like Chinese New Year, bus fare could go up double because of strong demand and limited bus service. Starcoach and LPMS are the only two coach companies providing bus from Teluk Intan to Singapore. They deploy spacious 3-seat-a-row VIP coach to ensure passengers having comfortable 8-hour journey to Singapore. Besides serving Teluk Intan residents, the bus service from Teluk Intan to Singapore also serve the residents from neighbouring towns Sabak Bernam, Simpang Empat, Sungai Besar. Residents from those towns would travel to Teluk Intan Bus Terminal for bus boarding to Singapore due to limited bus departure from Sabak Bernam, Simpang Empat, Sungai Besar to Singapore. 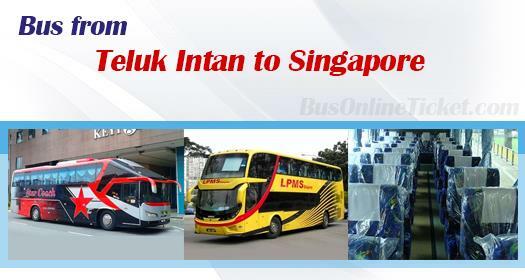 Now LPMS is the only bus operator supplies the bus service from Simpang Empat, Sungai Besar, Sabak Bernam to Singapore. The bus starts picking up passengers in Teluk Intan Bus Terminal, then proceed to Sabak Bernam, Simpang Empat, Sungai Besar, Sekinchan to pick up more passengers before taking the highway to Singapore. Thus, LMPS bus service benefits residents from Sabak Bernam, Simpang Empat, Sungai Besar by saving their hassle to go Teluk Intan for boarding. The trip duration from Teluk Intan to Singapore takes about 8-9 hours depending on traffic condition, especially custom traffics. At least 1 stopover would be provided for passengers to have washroom break. The bus fare for bus from Teluk Intan to Singapore is in the range of RM 55.00 – RM 57.20. The same bus fare applies to Sabak Bernam, Simpang Empat, Sungai Besar to Singapore. LPMS arrival point is at the Golden Mile Complex whereas Starcoach arrival point is at Holiday Inn Atrium located at Outram Road in Chinatown area. Due to limited direct bus service from Teluk Intan to Singapore, passengers are advised to book Teluk Intan to Singapore bus ticket online in advance with BusOnlineTicket.com to avoid disappointment. The booking process is user-friendly, payment is secured with instant confirmation feature.